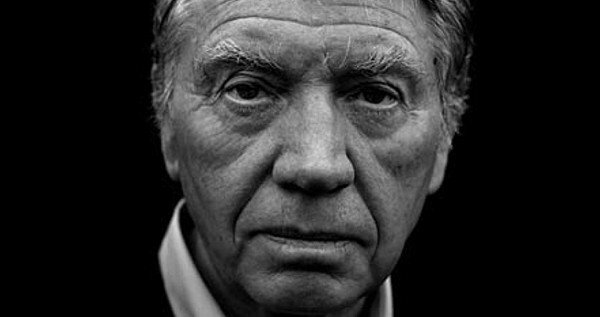 Photographer Don McCullin is still alive, although his brand of hard-hitting photojournalism may not be. This is what we learn from the eponymous documentary by Jacqui and David Morris, charting the life of one of the world’s most daring and brilliant war photographers, now retired but lucid as ever. McCullin was born into a working-class background in Finsbury Park, London, and made a name for himself in the late 1950s taking portraits of the area’s local gangsters. Despite having no formal training, his ability to take technically immaculate, yet hugely dramatic pictures of the urban poor, landed him a job at the Observer and then the Sunday Times. After numerous foreign assignments, McCullin became a self-diagnosed “war junkie,” often risking his own life to take the kind of shots that make your ears pop. The film is a just and lasting tribute to a man – and a craft – of the kind that won’t be around for much longer. Because McCullin as a photographer – he refuses to be called an artist – is not only a stunning framer of life. His compassion gave him the strength and courage to take some of the most arresting images of war we’re ever likely to see, but also to turn the camera away when he thought it could be exploitative. In his hands, photography doesn’t seem so much an art or even a craft, but a form of divine meditation. Ultimately, McCullin turned away from photojournalism altogether, save for a couple of recent stints in Iraq and Syria. He hung up his Nikon when Rupert Murdoch took over the Times newspapers and installed Andrew Neil as the new editor of the Sunday Times. Already dubious of the good he could possibly achieve by taking pictures of war, when Neil decided that the Sunday Times Magazine – where most of McCullin’s war stories had been published – should replace war journalism with lifestyle features, he was forced out of a profession that he didn’t so much enjoy as was driven to with the rarest of qualities – obsessive, near saintly compassion. There is one thing made clear in this film, and alongside McCullin’s own images of ravished humanity, it’s probably the saddest, most haunting part of the story. If Don McCullin were starting out now, his work would most likely not be possible. Journalism and investigative war reporting are in a losing battle against proprietorial interference, the dumbing down of the news agenda, diminishing circulations and an increasing level of PR control in conflict zones. But in the heat of another depressing war – ultimately against truth – the film presents the photographer with the same dignity as he always tried to capture in his subjects in their final hours. It’s a shocker and a tear jerker, and deserves to be seen.